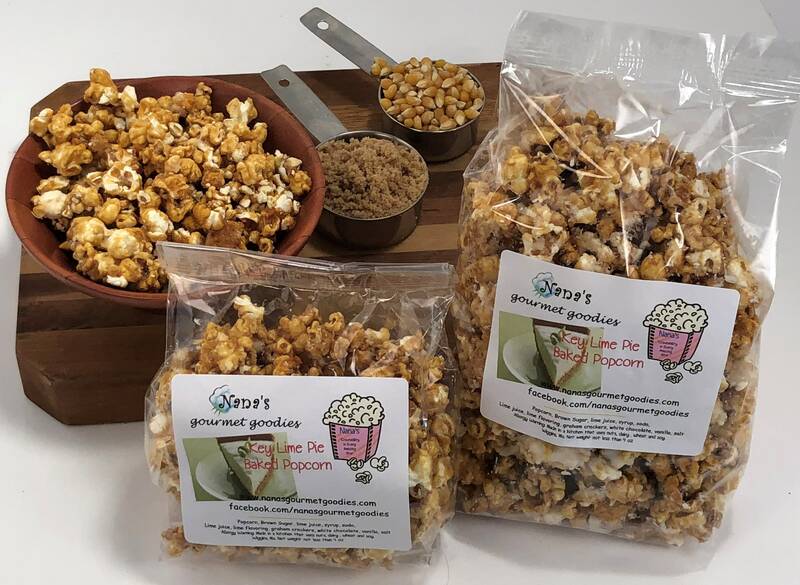 Fresh popped craveably delicious popcorn is tossed with a old fashioned key lime caramel, graham crackers, and then baked to make it a crispy sensation. The baking process pumps up this amazing key lime pie flavor making it truly over the top. Completed with a white chocolate drizzle to make this sensation very addictive. Can you smell the sweet key lime pie aroma ? Order is for a Medium 4 oz (1/4 pound) bag of amazing key lime pie Popcorn. Personalized labels available message us for details. PERFECT for tailgating, birthday parties, college care packages, and any red themed events. We can customize packaging for your special event. Just convo your needs. Volume discount available.